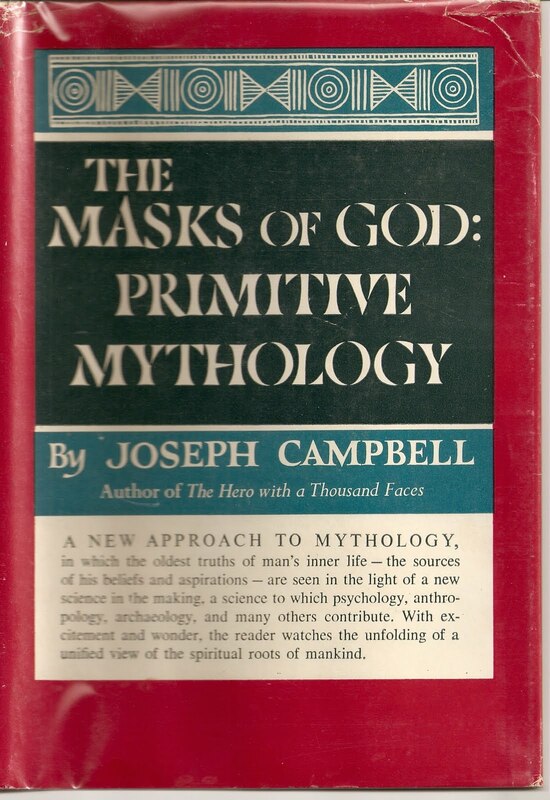 Like many, I discovered Joseph Campbell during my college years and began reading his then, 20 year old classic, The Masks of God: Primitive Mythology, The Viking Press, New York, 1959 and over the next few year, the other three title in The Masks of God quartet. About 20 years later I was finally able to pass along my torn and tattered trade paperback editions and proudly shelve the first edition, first printing collection of The Masks of God in my library. I do tend to collect what I love(d) to read, especially classics in the history of ideas. Joseph Campbell, 1904-1987, was a very rare individual who was able to pursue mastery of self while constantly making progress professionally, personally and intellectually. His life story is a fascinating example of the power and promise of following serendipity. A vagabond, perpetual student, teacher, editor, author, and gifted public speaker, he achieved scholarly notoriety and genuine mass market popularity for his study and teaching of world mythology. 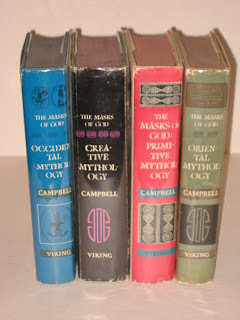 Collecting Campbell provides and opportunity to acquire a classic library of important books on world mythology, generally available and generally affordable. Campbell was involved in the launch of the now-famous Bollingen Series sponsored by the philanthropist couple, Paul and Mary Mellon. Sometime in 1943, Campbell was invited to write and Introduction and Commentary for the 1st Bollingen Series title, Where the Two Came to their Father: A Navaho War Ceremonial, text and paintings recorded by Maud Oake, given by Jeff King, Bollingen Series, I, Pantheon Books, Princeton, New Jersey, 1943. Three copies are currently available between $1750 and $2000 and it is well worth the effort to read the catalog descriptions as this must be a stunning book! 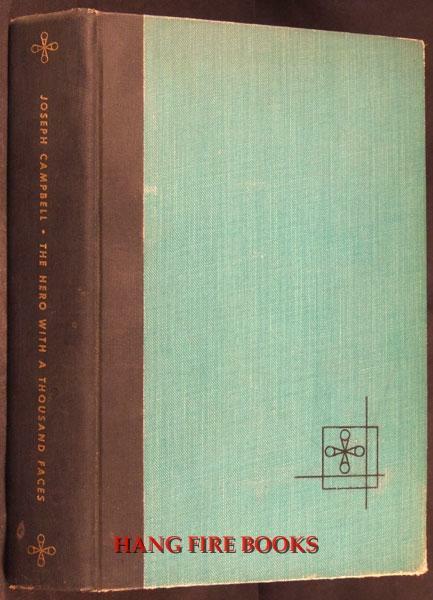 In 1949, Campbell published his first book, The Hero with a Thousand Faces, Joseph Campbell, Bollingen Series, XVII, Pantheon Books, Princeton, NJ, 1949. Four copies are available all reasonably priced between $120 and $350. Sadly this is a book that remains on my want list still today! After The Hero with a Thousand Faces, Campbell's next major writing project evolved in to the classic 4 volume, The Masks of God, series. This classic general audience set belongs in the collection and/or library of anyone interested in the study of world mythology, culture and creativity. While I imagine that scholars actively debate Campbell's writing and legacy, his prose and grasp stand outside current scholarly debate and have lasting value for the history and ideas presented. 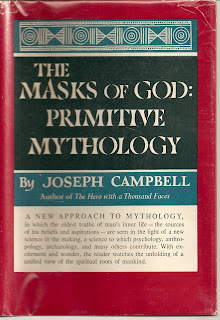 The Masks of God: Primitive Mythology, Joseph Campbell, The Viking Press, New York, 1959 is book one in the series. From the cover copy, "A new approach to mythology, in which the oldest truths of man's inner life - the sources of his beliefs and aspirations - are seen in the light of a new science in the making, a science to which psychology, anthropology, archaeology, and many others contribute. With excitement and wonder, the reader watches the unfolding of a unified view of the spiritual roots of mankind." Currently, there are 15 copies for sale ranging in price from $18.00 to $125.00, a bargain! When choosing the perfect copy, focus on condition and acquire the best condition within your budget. 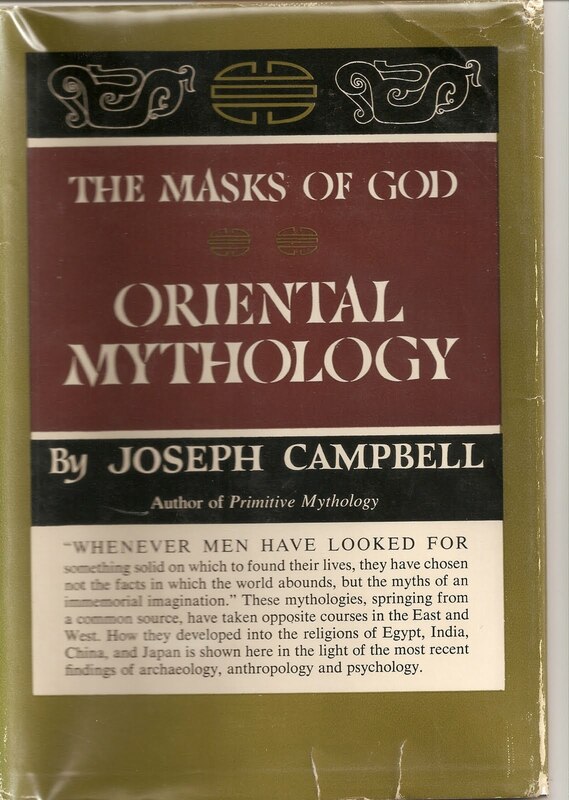 The Masks of God: Oriental Mythology, Joseph Campbell, The Viking Press, New York, 1962 is book two in the series. From the cover copy, "Whenever men have looked for something solid on which to found their lives, they have chosen not the facts in which the world abounds, but the myths of an immemorial imagination." Currently, there are 17 copies available ranging in price from $8.00 to $78.00 which makes me wonder about the state of the world! 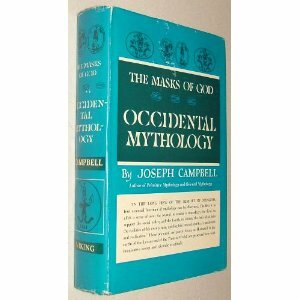 The Masks of God: Occidental Mythology, The Viking Press, New York, 1964 is book three in the series. From the cover copy, "In the long view of the history of mankind, four essential functions of mythology can be discerned. The first is to elicit a sense of awe; the second, to render a cosmology; the third, to support the social order; and the fourth, to initiate the individual into the realities of his own psyche, guiding him toward spiritual enrichment and realization." Six copies of the first edition, first printing are available with prices ranging from $18.00 to $45.00. 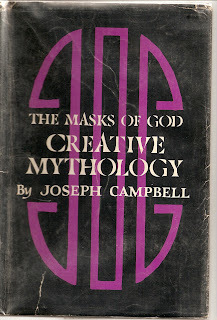 The Masks of God: Creative Mythology, Joseph Campbell, The Viking Press, New York, 1968 is the final book in the series. 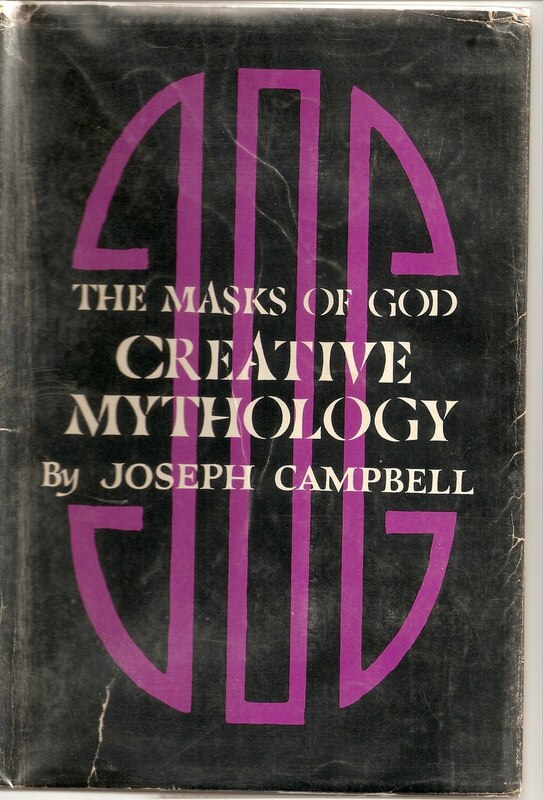 In this volume, Campbell brings together the story of mythology presented in books 1-3 and focused on the impact of mythology on the history of human creativity. This is one of my favorite reads of all time! Only 4 copies of the first edition, first printing are available with prices ranging from $40 to $250 as would be expected for the probably, the most popular volume of the series. 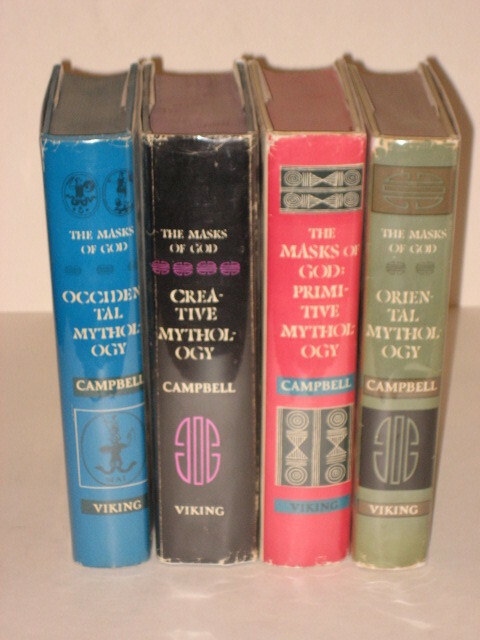 Campbell went on to publish more books on mythology between 1968 and his death in 1987. 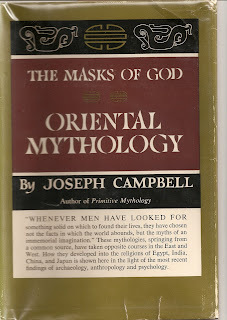 The place to start collecting Campbell is The Masks of God series. Unfortunately, after learning about Bollingen Series, I, I fear I will become obsessed with at least viewing a copy and probably acquiring a copy, someday. Well She is a true inspiration and a worthy personality to follow nowadays. The post was good and the link you provided for us was also extremely informative.